The faculty and staff of GraceLife Academy consider it a great privilege to serve students and their families in the South Charlotte area. 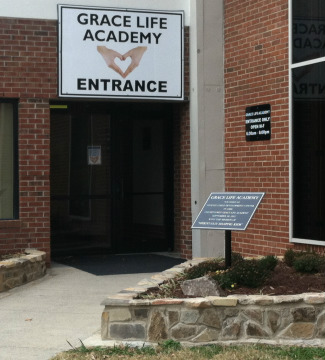 At GraceLife Academy, we endeavor to provide an excellent Christ-centered education. We know that the early years of a child’s life are the most important in building a strong, healthy foundation. We believe that the best way to accomplish this is to teach biblical truths from the best foundation there is, Jesus Christ! If you are not already a part of our GraceLife Academy family, we hope you will consider allowing us to partner with you to lay a solid groundwork that can be built on for the rest of your child's life. I invite you to come in for a tour of our facility and the opportunity to meet our amazing staff. We look forward to seeing you soon!